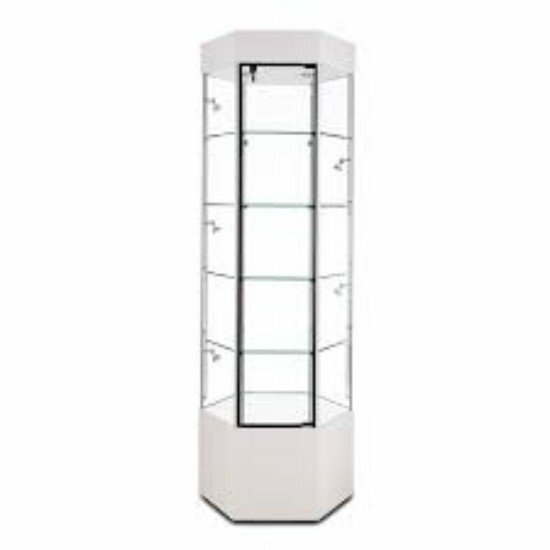 Mid Atlantic Store Fixtures carries top of the line Tower Display Cases. 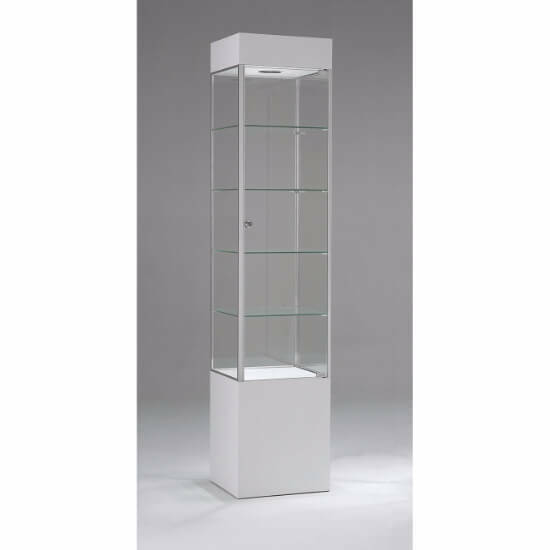 These tower's feature four tempered glass shelves which provide a (4)12"x 12" area to display all your best merchandise. Most retailers will use the Tower Displays for their best , highest quality merchandise. Space is small in these towers but for what it lacks in space the display/view is perfect at all angles!